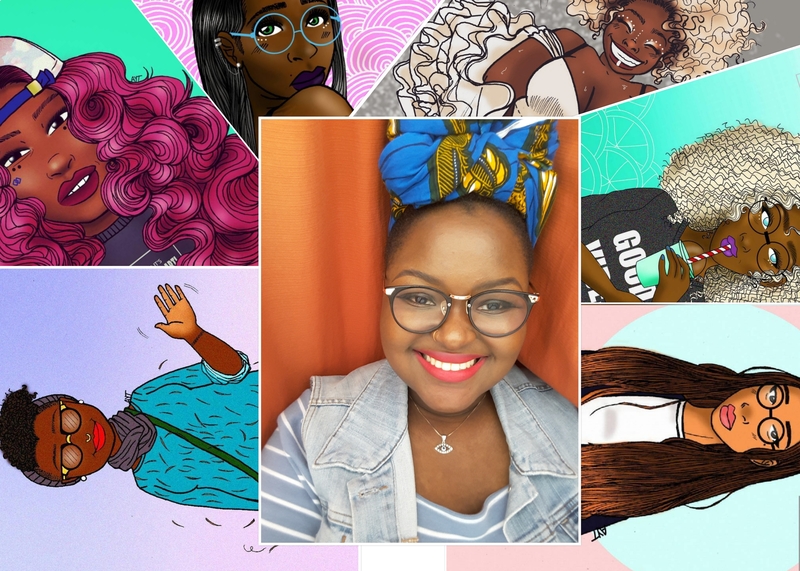 Turning daily inspiration into dope + vibrant art, Alexandra Yasmine Togba has the magic touch of creating captivating characters that you wish were apart of your girl squad! 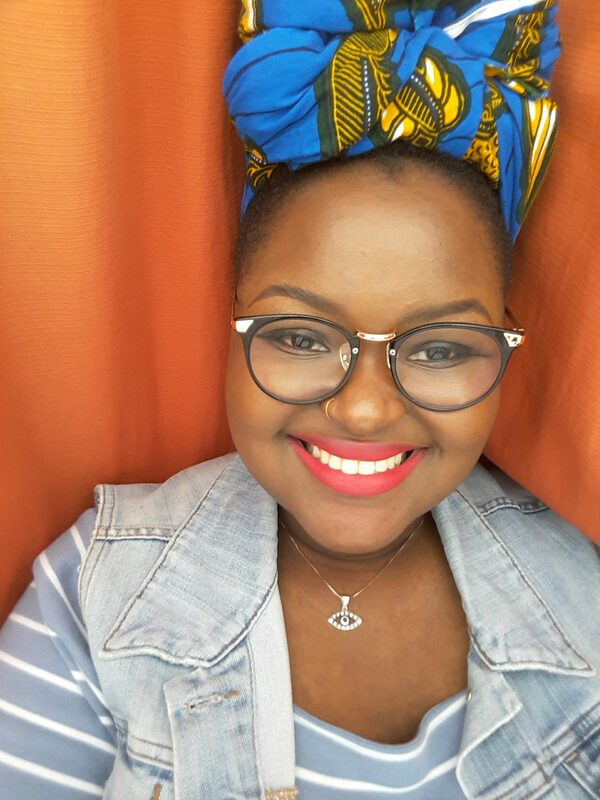 Originally, born in the Ivory Coast of West Africa, she grew up in Montreal and continues to flourish in Toronto, Canada. 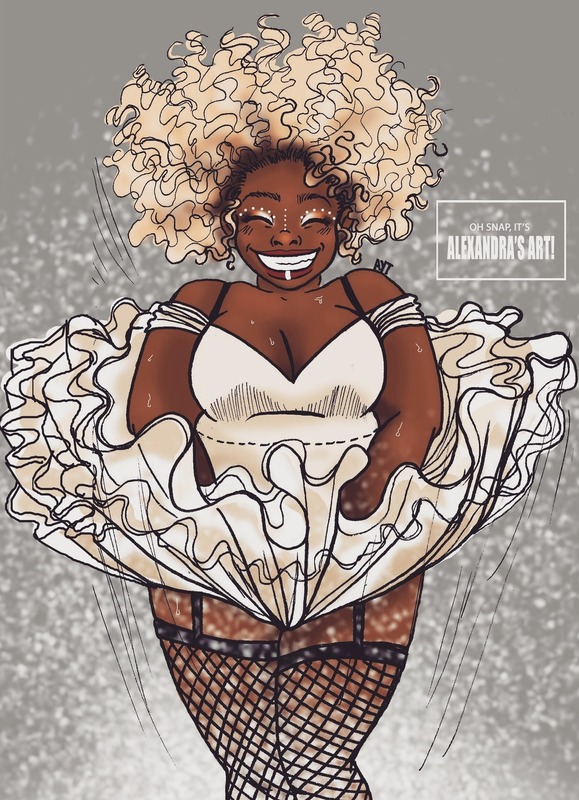 Alexandra unleasehes her artistic energy + creativity as a Freelance Illustrator and Comic Book Artist. Not only does she express herself through art but gives her audience a “slice of life” by making each character relatable. Every illustration creates a sense of connection with a glimpse of reality. 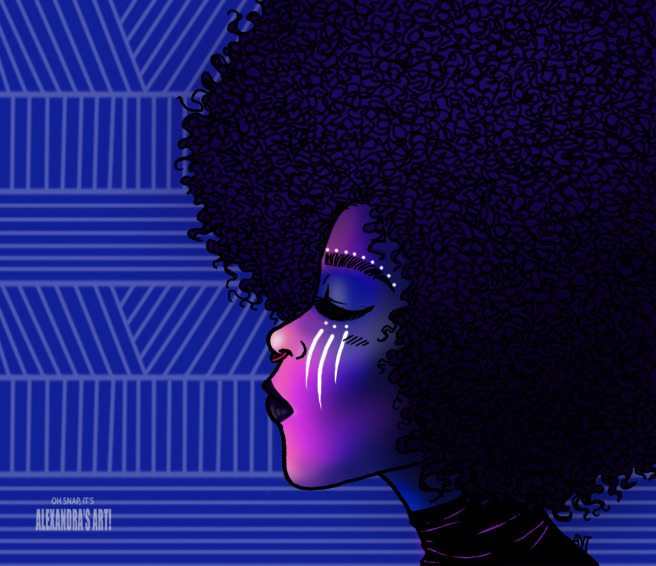 Representing and developing diverse characters of color allows each girl to find herself in her expressive art. Your illustrations are vibrant, eye catching and tell such an authentic story, what made you want to express yourself through art? I’ve always gravitated towards creative and artistic outlets: whether it’s painting, drawing, writing, (even piano at some point) I’ve always needed a way to express myself in other ways than to just speak out. Art gives me a break from life, a moment to myself to relax and focus on an alternate universe I’ve created in my head. I need this disconnection from life’s anxieties from time to time. Life is filled with ups and downs and we all experience such an array of emotions, why is it important for you to showcase genuine illustrations of girls expressing real life emotions? I feel like women of color, we don’t get the representation we deserve. We are often misrepresented, overlooked and/or shown expressing negative emotions only. Especially in the art world. If I can uplift and offer a better representation of WOCs, why not do it? I want to change the narrative a little to not have us feeling bad for existing, I want to show that we fit in this world just as much as everybody else. As a comic book artist, what’s your all-time fave comic book? Weirdly enough, I don’t read comic books that much anymore. In the past years my faves were ‘Aya from Yop city’ , ‘Blacksad’, ‘Inuyasha’ and ‘Saga’. I grew up reading ‘Nathalie’ a comic book by Belgian author Sergio Salma. I’d say this is my favorite comic book from my childhood, but for my adul I can’t choose. 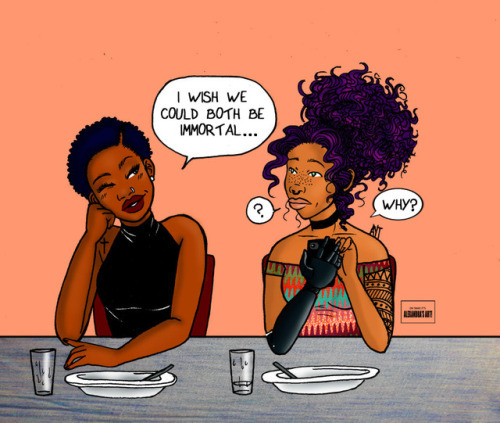 Your illustrations also celebrate the LGBTQ community in such a beautiful way, why is it significant that young women of color are represented in your characters within the community? I enjoy having people relate to my characters. I want them to feel safe expressing themselves without feeling judged. As I said earlier, representation of WOCs is something I want to push forward. We don’t have that much characters that look like us to relate to. Being part of the LGBTQ+ community myself, I feel like WOC representation is needed in the community as well. You can see that just by how people enjoy my characters Jennifer and Cassandra. What advice would you give girls who want to follow their dreams and passions but are nervous or intimidated? You can either be miserable because you didn’t follow your dreams and you’re living the life of someone else, or be miserable because of the challenges that are thrown your way during the process of following your dreams. In the end, only one outcome will be beneficial to you. It is a risk that you have to be willing to take. Leap and the net will appear. Being young, juggling responsibilities while walking towards your dreams can sometimes get to be a bit overwhelming, how do you regroup and motivate yourself when you’re feeling a little defeated? I love printing motivational quotes and sticking them to the walls in my room. So that these quotes are the first things I see when I open my eyes in the morning. It helps motivate me out of bed and reminds me of my potential. Sure, there are days where I ignore them and decide to stay in bed all day, but I try not be too hard on myself when it happens. Allow yourself to rest. You can’t be as productive as you want to if you don’t take a break from everything from time to time. We are all about empowerment, what does EMPOWERMENT mean to you? Empowerment to me is giving someone the confidence to live their best life. Make them know their worth and potential to accomplish what they desire. That is what I want my drawings and stories to convey. Fun Faves! Fave Food? Artist? Song? Celeb Crush? -My favorite food is a meal from Ivory Coast named ‘Attieke’ we usually eat it with some fried plantains, braised chicken and/or Tilapia fish. I love it! -Fave artist: I have too many fave artists to choose!! But my top 3 would be Beyoncé, Kehlani and Jay Park. -Fave song: these days is Body count by Jessie Reyes ft Normani and Kehlani.